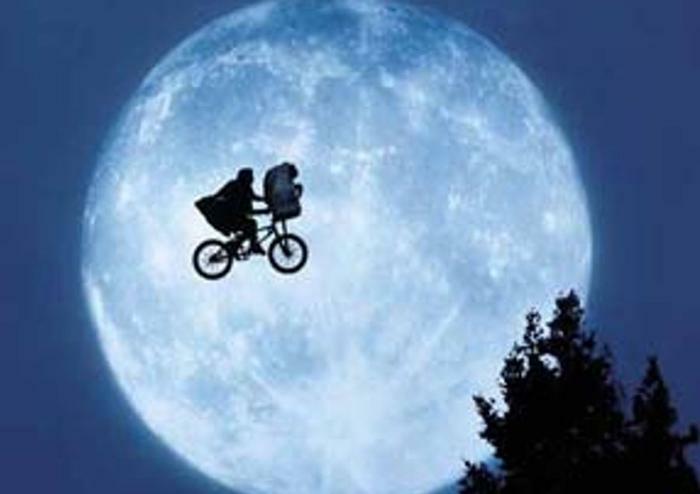 It's been 35 years since Steven Spielberg's classic film "E.T., The Extra-Terrestrial" debuted at U.S. movie theaters. To celebrate the milestone anniversary, Universal Pictures Home Entertainment is releasing a special package, that includes the film in 4K Ultra HD + Blu-ray + Digital and a re-mastered CD soundtrack of the original Grammy Award-winning score. The disks also contain more than three hours of bonus features, along with a collector's booklet with inside information and images from the archives. The release date is September 12, 2017. The film resonated with young moviegoers, who are now in their 40s and have children of their own. Universal is counting on that generation to introduce another generation to the film, a tactic successfully used by Disney for decades. To generate a little extra buzz for the release, Universal will screen the movie in theaters nationwide on September 17 and September 20. If you'll recall, E.T. was the story of a lovable alien who got stranded on earth and was befriended by a group of a suburban California children, who (spoiler alert) helped the visitor escape the grown-ups and get back home. The trailer is below. The film also broke ground in the area of product placement. The children lured the creature using Hershey's Reece's Pieces candy, after Mars' M&Ms passed on the deal. Rolling Stone Magazine ranks it among "The most egregious product placements in movie and TV history," making the relatively obscure candy a household name overnight. Interestingly, the benign view of visitors from outer space, which first surfaced in Spielberg's "Close Encounters of the Third Kind," did not hold up in later movies, such as "Independence Day." And in fact, many scientists say alien contact would probably be highly unpleasant for humans.